① with noble semblance; marry. 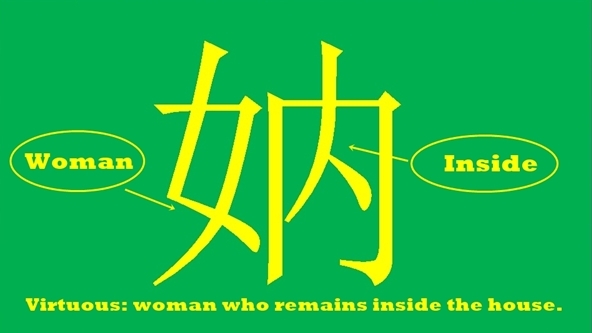 Elements ---- Woman 女 + inside 内. Phonetic series 内. The original meaning was a woman with noble semblance, then to marry (as it is supposed that everybody want to marry a virtuous woman). It is the woman 女 who remains in the inner内 quarters. Not used anymore. Its modern usage in Cantonese seems to refer to the action of get a virtuous woman by force. Old meanings as showed in Cheng Menhun Gudai Hanyu zidian.